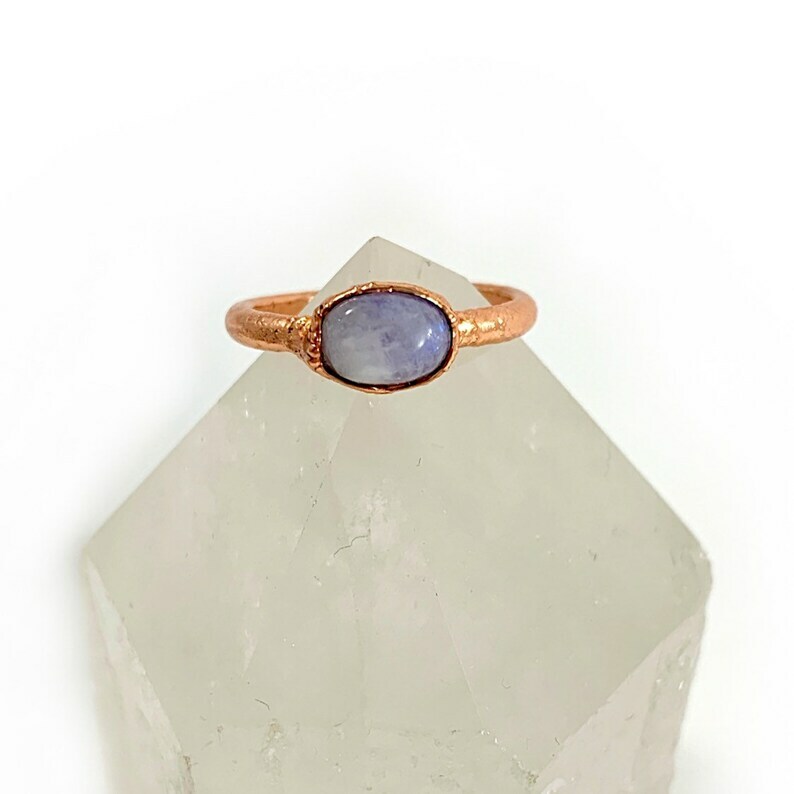 Oval shaped moonstone stone set in copper. This stone has a blue flash when it hits the light. 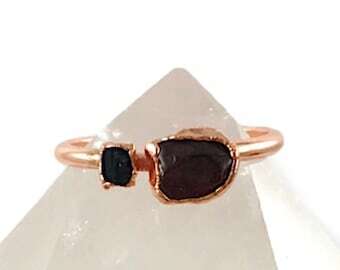 This ring is one of a kind and size 5.25. The ring is sealed to preserve the finish. 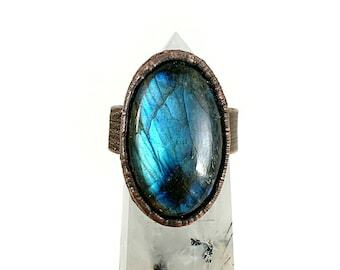 Note: This ring was created through a process called electroforming, which allows copper to build up over several hours. It is unpredictable and results in one of a kind and unique pieces. However, there may be small nicks, pits and bubbles in the copper as it is a natural process. Additionally, please be aware that over time, the color of the copper will naturally begin to darken. Your copper jewelry may be cleaned using lemon juice or a salt and vinegar solution. Moonstone is believed to bring hope and good fortune. It is associated with calmness and the relief of stress. It may promote inspiration, enhance intuition and offer protection during childbirth, pregnancy and travel at sea.